Master blaster Sachin Tendulkar showed rare gesture when he skipped his home state Maharashtra and went to Andhra Pradesh to adopt a village under the ‘Sansad Adarsh Gram Yojana’. 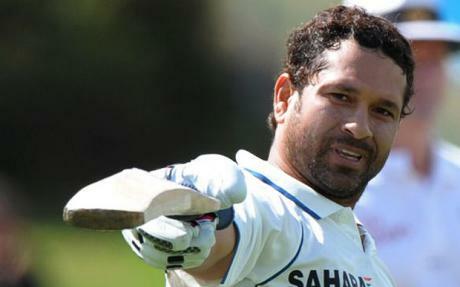 Tendulkar chose Puttamrajuvari Kandrika village in Nellore district of Andhra Pradesh. Rajya Sabha MP and Bharat Ratna Sachin Tendulkar urge the people of the village to shun alcohol and tobacco consumption and give equal important to boys and girls in all spheres of like, including education and employment. Sachin Tendulkar laid foundation for the construction of facilities worth Rs 2.79 crore in the first phase, including a community centre, ‘Aanganwadi’ school with kitchen, a playground, waiting halls and toilets. He also promised to do everything possible for Puttamrajuvari Kandrika village to make it a ‘model village’.